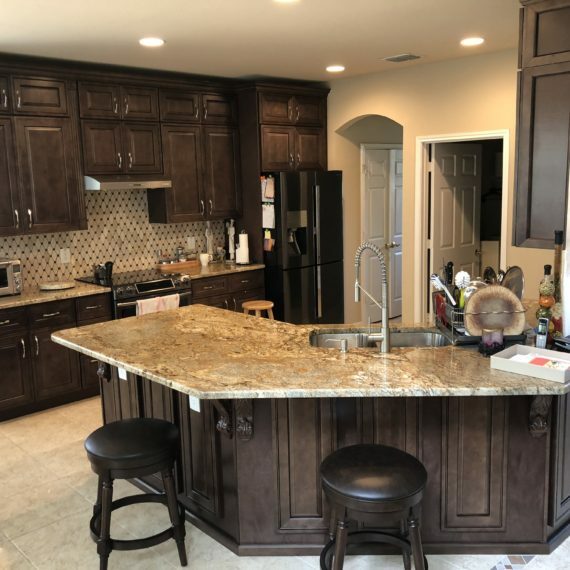 We were given a lot of room to be creative in this project, and we truly had a great time working on a classy, upscale look for this San Antonio Kitchen Remodeling project. 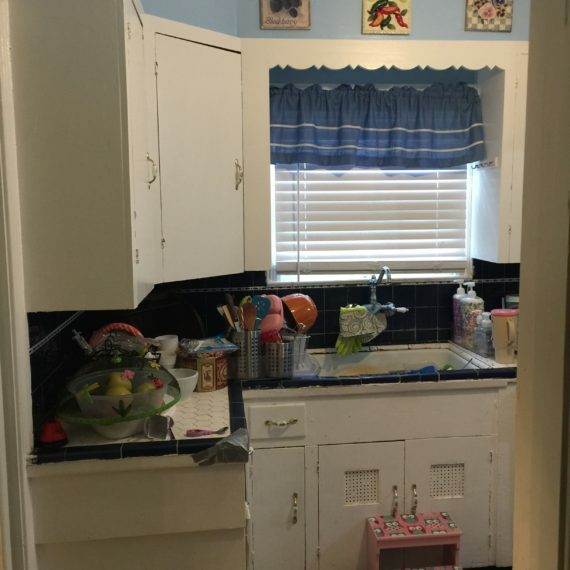 The home was built in the late 1980s, and the kitchen was indicative of many of the housing trends at the time. 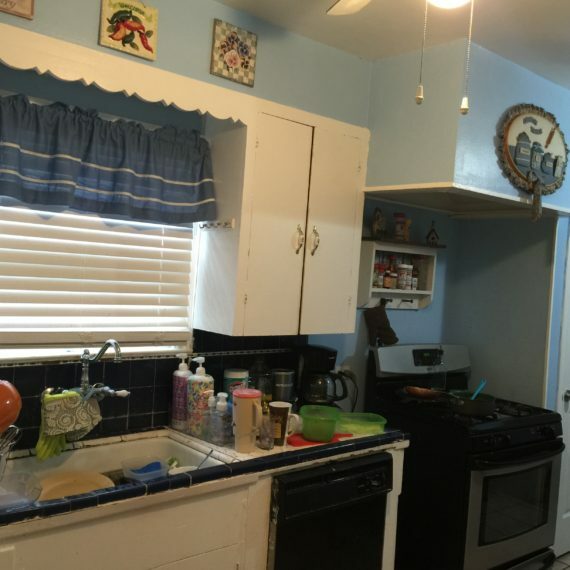 The cabinets lacked any personality, the countertops looked tired and worn, and the walls were a vintage shade of light blue. 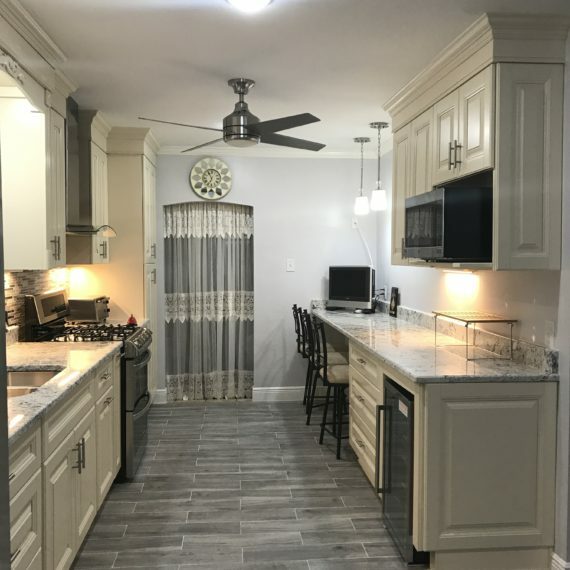 Our client wanted to update and upgrade all of these elements, as well as add new kitchen flooring. 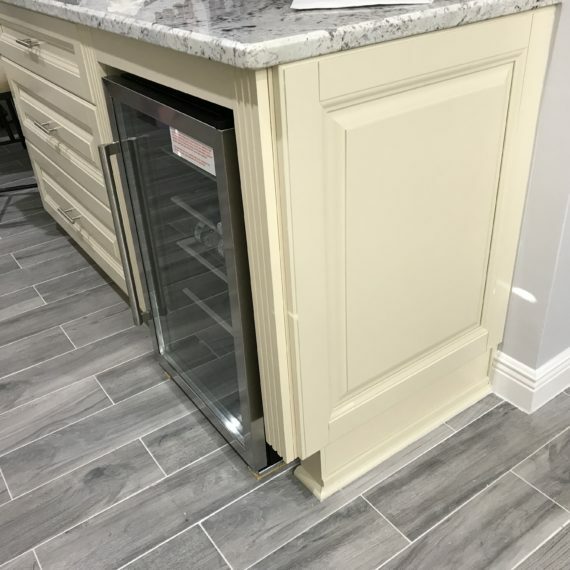 We got started on some concepts using our Kitchen Visualizer, then took a tour of our showroom to look at samples, and finally created a concept that everyone loved. 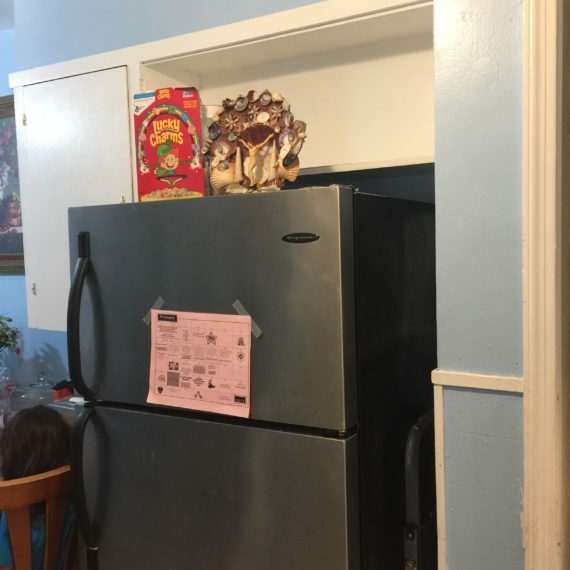 We started out with a nearly full demolition of the current kitchen. 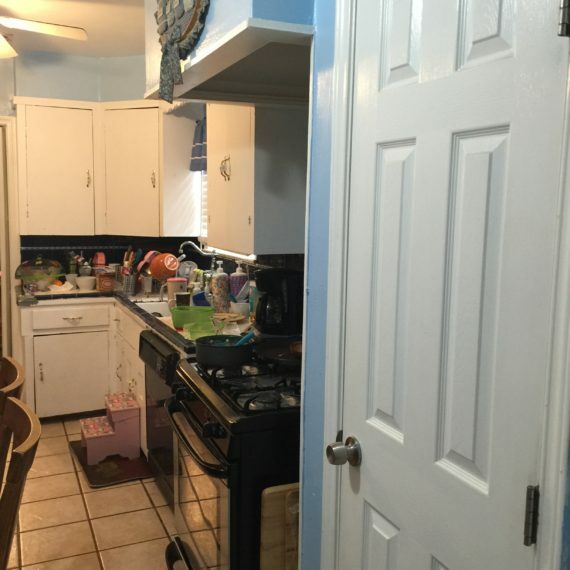 We yanked out the cabinets, countertops and flooring that was in the kitchen previously. 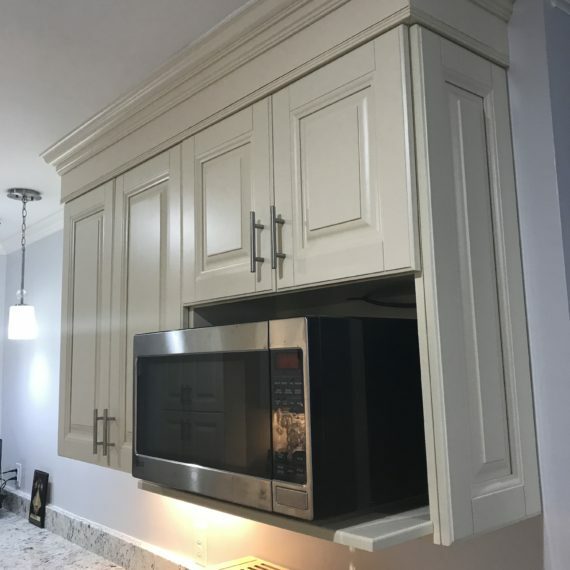 Then, we custom-crafted the cabinets to the client’s exact specifications. 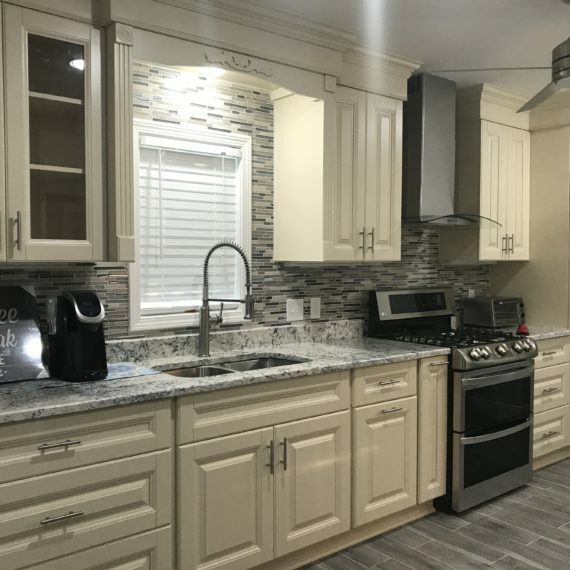 The Frameless Kitchen Cabinets offered an element of chic design and gave our client the upgraded appearance she was looking for. 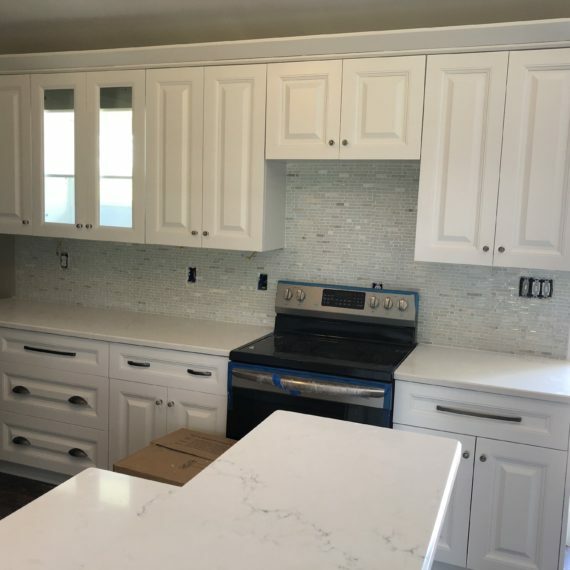 Then we added custom Quartz Countertops in a matching color scheme to tie in with the white tones of the cabinets. 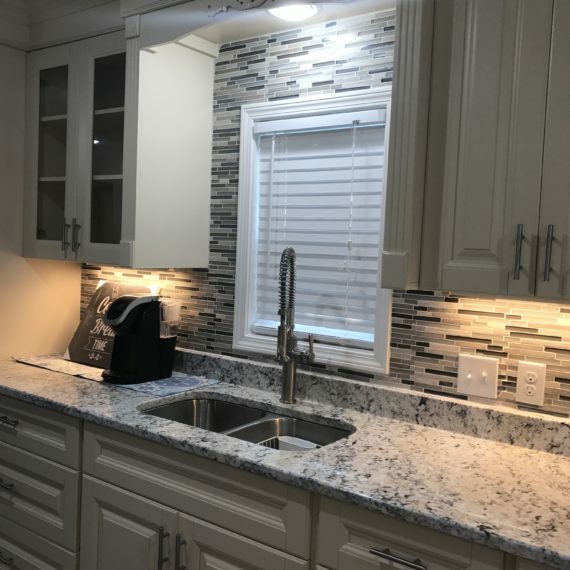 Finally, after completing the plumbing and electrical needs to make sure everything matched up correctly, we finished the project out with a new kitchen sink, custom back-splash and faux wood tile flooring. 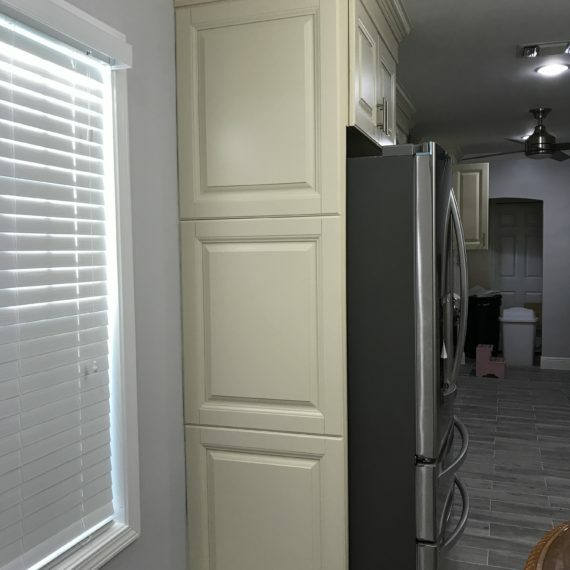 The end result is an upgraded, completely renovated kitchen that the client absolutely loves. 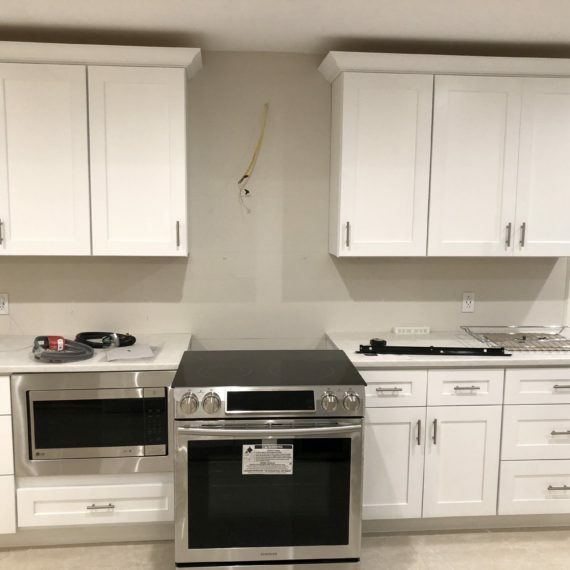 We completed the entire project – from initial conversation to final clean-up – in less than three weeks and made it in just in time for the holidays. 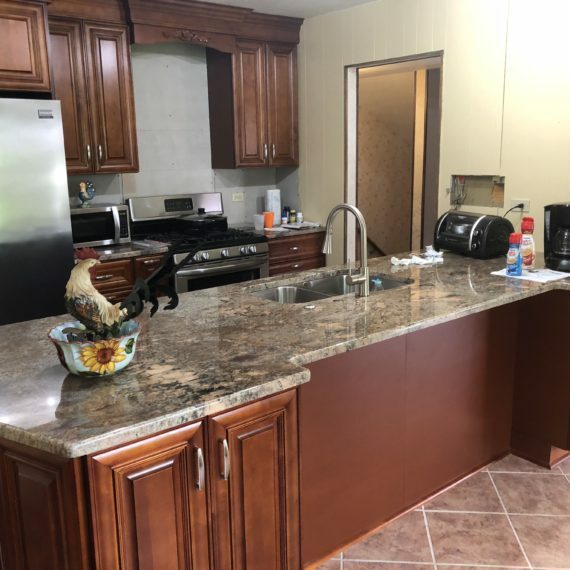 We’re excited to have another successful San Antonio Kitchen Remodeling project completed and another happy customer. 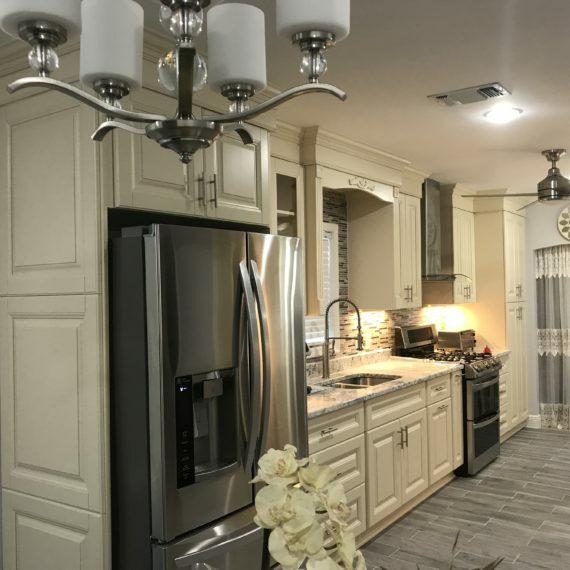 New Generation Kitchen & Bath,LLC. 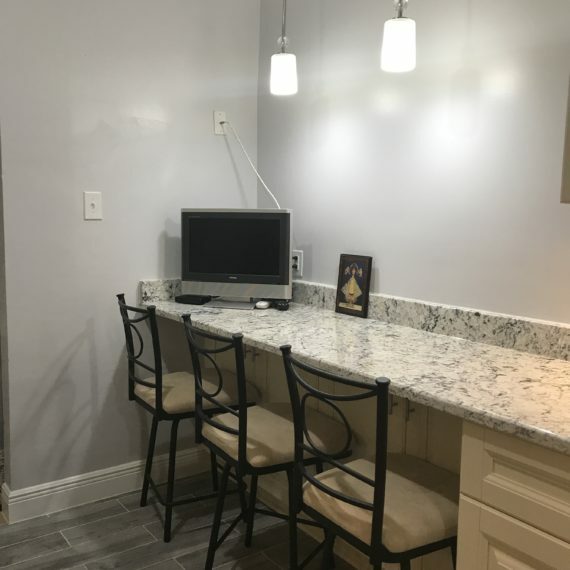 Leave us a review by clicking the image below!